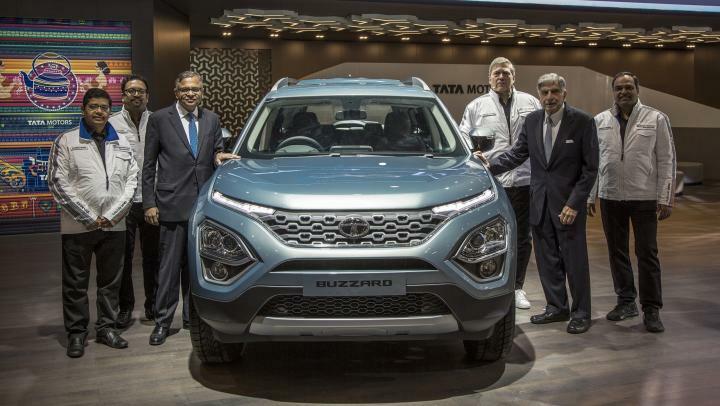 Tata Motors has unveiled the 7-seat version of the Harrier called the Buzzard at the 2019 Geneva Motor Show. The Buzzard is based on the Optimal Modular Efficient Global Advanced (OMEGA) platform that is shared with the Harrier. Its styling is based on Tata's Impact Design 2.0 language. 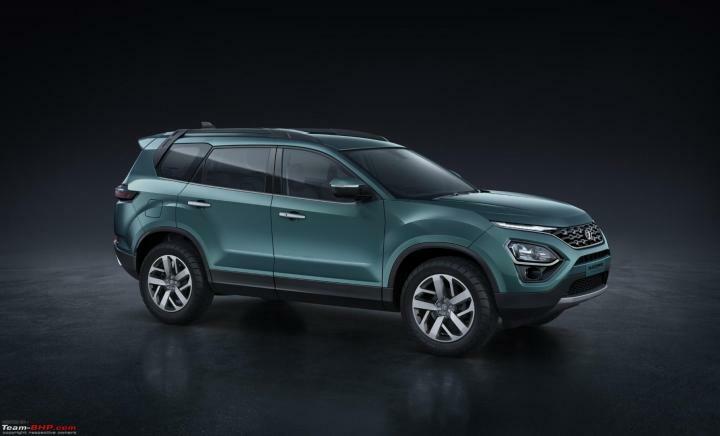 The SUV has the same front end as the Harrier featuring a hexagonal grille flanked by slim LED daytime running lights. The dual-tone bumper has large pods that house the main headlamps and fog lamps. At the rear, it has slim wraparound tail lamp clusters with a black insert in the centre, while the dual-tone rear bumper has a silver insert. 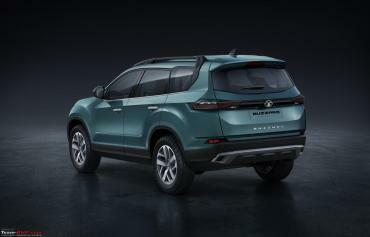 The SUV has grey roof rails, a larger rear quarter glass, Buzzard lettering on the boot lid and chrome alloy wheels. The interior of the Buzzard is identical to the Harrier, except for the third row of seats. The dual-tone dashboard has faux wood inserts and silver trim and a floating touchscreen instrument cluster. It comes with a 3-spoke multi-function steering wheel and an instrument cluster with a large digital display. In India, the Buzzard is likely to be offered with a Fiat-sourced 2.0-litre, 4-cylinder diesel engine with an output of 170 BHP. This is the same engine that is available on the Jeep Compass. Transmission options might include a 6-speed manual and a Hyundai-sourced 6-speed automatic. Tata Motors also showcased the Harrier at the Geneva Motor Show. In Europe, the SUV is likely to be sold as the Buzzard Sport.